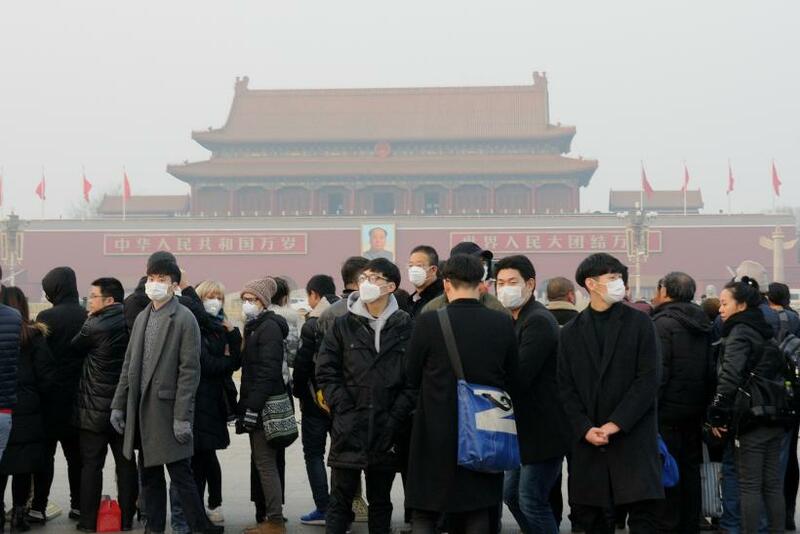 Extreme smog in Northern China, most notably Beijing, presented an ongoing crisis this week. Tens of thousands of people have attempted to leave the area even as the smog shut down transportation. A red alert for smog was issued Friday for Beijing and was finally lifted at midnight, but not before nearly a week of serious effects. Schools were closed, a number of roads were shut down and more than 100 flights were canceled. Some 460 million people were affected by the smog, with some 200 million people living in areas with smog at least 10 times the acceptable level laid out by the World Health Organization, ABC News reported. It got so bad it was dubbed the "airpocalypse." Cities near the center of the coal and steel industry in the area were struck particularly hard by the smog. Handan, a city in the same province as Beijing, saw an average air quality index of 780 Monday, which is well over the 0-500 scale laid out by Greenpeace. "The ongoing 'airpocalypse' is further evidence that China must implement far stricter limitations on coal consumption and accelerate the restructuring of the economy away from the heavily polluting sectors," Greenpeace climate and energy campaigner Dong Liansai told ABC News. Reports indicated some folks had escaped to less polluted areas, with one person who left describing a ski resort as a "refugee camp" of sorts. Others had plans to leave the country altogether to escape the smog. One agency told China Daily some 150,000 people are expected to be sent overseas to escape the smog in December when pollution is at its worst. By Thursday afternoon the smog seemed to have passed thanks to an inrush of cold air. Most recent reports from an air quality monitor pegged levels at "good" or "moderate," a major upgrade over a series of reports of "hazardous" air quality.